There are some people who think that we have a pretty good idea of what lives on Earth. They think that new species are all just similar versions of a previously known species. Every now and then a discovery like this one last year just blows that idea away. 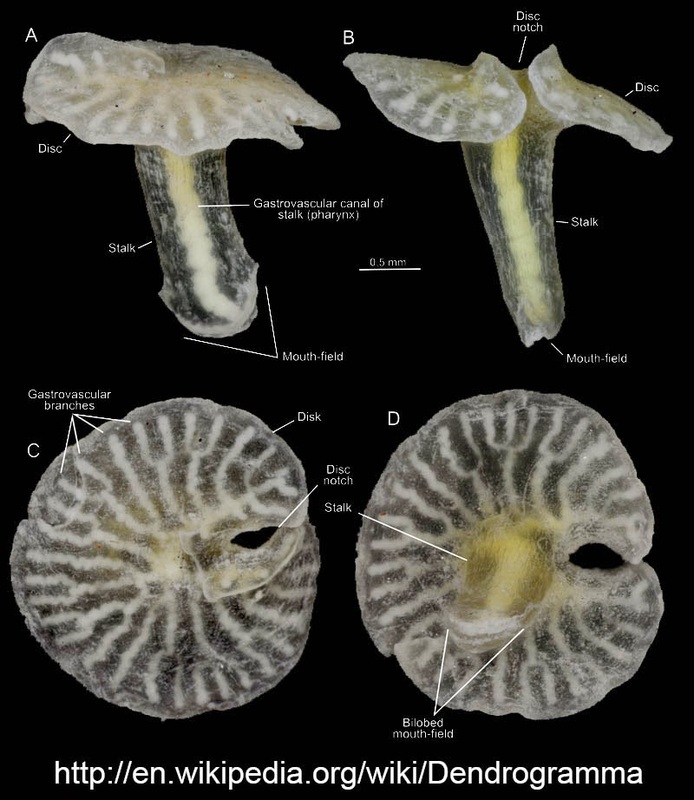 Dendrogramma is a genus of something or other described in 2014 from specimens collected in 1986. It probably took so long to describe because anyone who saw it immediately recognized that it wasn't in their group. The truth is it does not belong to any known group of animals, although it is an animal. Ir has not been formally given its own Phylum yet, but I am pretty sure it will soon. The long tube like structure carries the mouth while the flat end probably anchors the animal down to a surface. The animal has a gastrovascular system and seems to exhibit bilateral symmetry. Dendrogramma were collected at 400 and 1000 meters South East of Tasmania. There are two species of Dendrogramma and for now the genus has been assigned to Kingdom Animalia only.